At the recent Colorado Health Symposium hosted by the Colorado Health Foundation, the five funders (the Advisory Board Company, the Colorado Health Foundation, the de Beaumont Foundation, the Kresge Foundation, and the Robert Wood Johnson Foundation) of the BUILD Health Challenge participated on a panel to discuss this innovative funding initiative. In addition to the funders, representatives from the three Colorado planning communities—Increasing Access to Behavioral Health Screening and Support in Aurora; Northeast Denver Unified; and Project ACCESS, in Colorado Springs—shared their early perspectives as BUILD awardees. You can find the archived video of the panel here and descriptions of each of the Colorado projects, along with descriptions of all BUILD communities, here. The five funders recounted how they originally came together around a shared understanding that health care in America manages the “downstream”consequences rather than the “upstream” causes of disease. As a result, health care is now dominated by expensive solutions for those who are already sick, rather than lower-cost, preventive measures to keep people healthy. With about 5 percent of the population responsible for almost half of all health care spending in the United States, it was clear to each funder that a change in the system was necessary. Health system change is not a new idea, but the national dialogue has been primarily focused on access to and quality of health care, adding social services within clinical practice, and introducing efficiencies to the existing health care system. Similarly, great effort is expended on developing new pills, procedures, and interventions to manage and mediate the symptoms of disease. The funders of the BUILD Health Challenge see things differently. We understand that a large percentage of what makes us sick can be attributed to the effects of social, physical, and economic environments on our health and health behaviors. This includes where you live, whether you have a job, whether you have access to fresh fruits and vegetables, how much money you make, whether you face discrimination because of your race or ethnicity, whether you live under stressful conditions, and more. Our view is that the major challenge in health care today is how to address these upstream issues to realize population health improvements and cost savings further downstream. The BUILD Health Challenge was designed to test and inform this shift in focus. BUILD is an acronym for BOLD, UPSTREAM, INTEGRATED, LOCAL, and DATA-DRIVEN. Each element is important to catalyze fundamental changes in how we identify and address the root causes of chronic disease and premature death. We need BOLD partnership, approaches, and change to transform our medicalized culture, where everything is viewed as a condition or disease that can be addressed with the newest pill or medical treatment. Instead, we must learn to focus on what are often referred to as the UPSTREAM causes of disease, many of which are rooted in social, economic, and community conditions. This will start withINTEGRATION among leaders from community-based organizations, hospitals and health systems, and governmental public health agencies at the LOCAL level, where action and change have the greatest chance of success, building upon the increase in the availability of electronic DATA to target resources effectively and measure impact. BUILD Health was not designed to reduce a specific disease or risk factor. The awarded communities tackle health issues ranging from asthma and diabetes to violence, housing quality, education, jobs, and the local food environment. Each community is blazing its own path while adhering to the concept that real change in the health of a community can only be achieved through active, multisectoral partnerships rooted in authentic community involvement and engagement. The funders’ vision in a BUILD Health Challenge community is one where everyone sees the value of health—communities where it would not be unusual to see an architect, a city planner, or a faith leader considering health in their daily work. The Q&A session at the end of the discussion brought up questions of how, in fact, awardees and funders can measure the results of the BUILD Health Challenge. The Colorado awardees noted the urge to jump to metrics, outcomes, and measurement, but explained the need to wait. “This is not about counting the noses in the room, but really [describing] the quality of the relationships that we [aren’t building] from scratch, but that we actually re-envision,” said Talmi. BUILD Health capitalizes on the hunger for new models to improve health and health care, as well as our shared acknowledgement that we need to go beyond traditional health care settings to engage all parts of our communities. Through lessons learned at the eighteen awardee sites, BUILD Health will begin to contribute evidence and models for other communities to use in their own efforts. The change we need in our health system cannot be achieved in a piecemeal fashion. 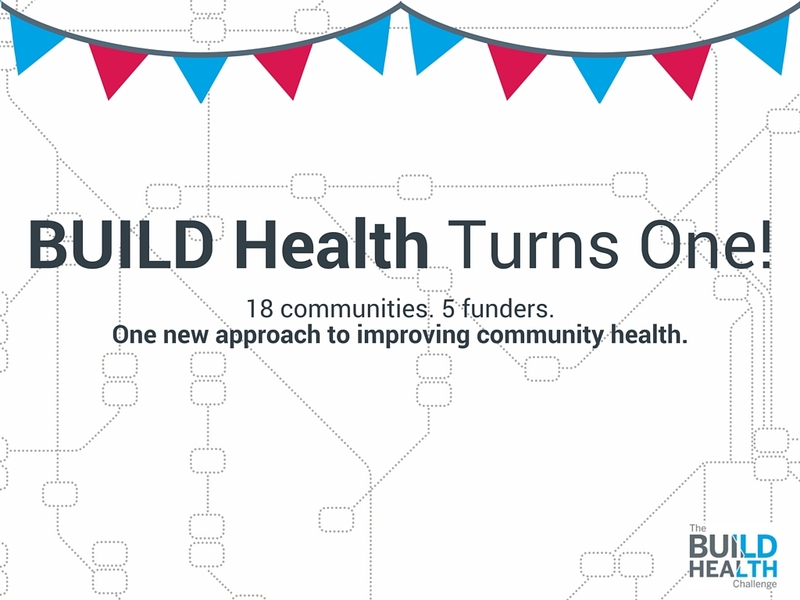 We hope the BUILD Health Challenge awardees will inspire a movement. 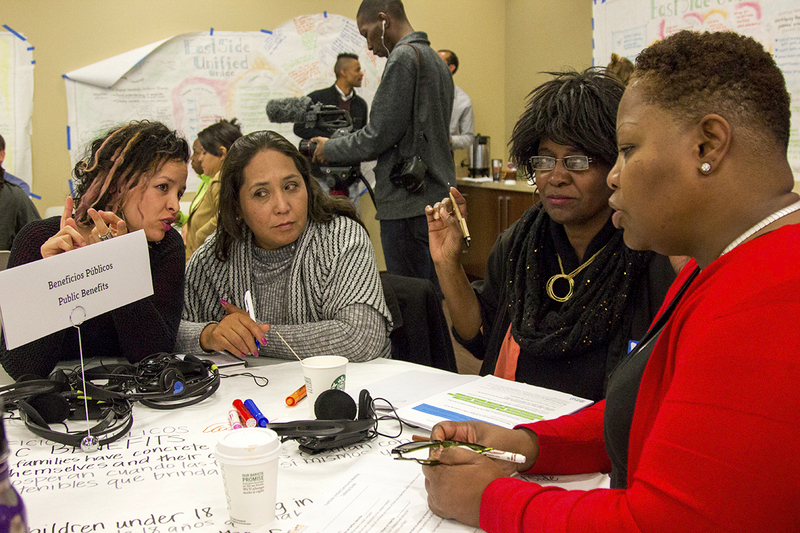 Long-term success for the Challenge will not be change in eighteen communities, but the broader adoption of the BUILD concept—the development of collaborative, cross-cutting partnerships in communities nationwide that improve population health, promote health equity, and reduce health care costs.